I could think of nothing better than a sunrise ski to end my stay in Idaho. 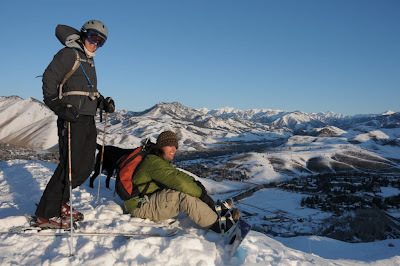 Luckily my hosts were on board and we made it to the top of Dollar Mountain well before the sun graced the homes of Sun Valley. To top it off, Hannis delayed his departure for Colorado to make us Sourdough Oatmeal Bluberry Pancakes. Delicious. 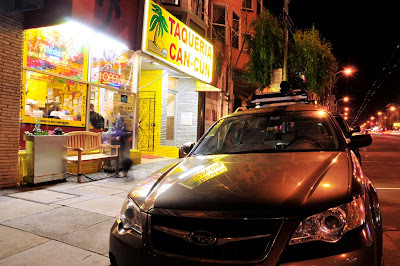 12 hours, 743 miles, 7 clementines, 2 Rockstars, and a Subway footlong later, I arrived back in San Francisco in time to enjoy a burrito from Taqueria Can-Cun. Delicious.